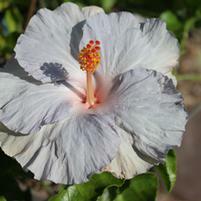 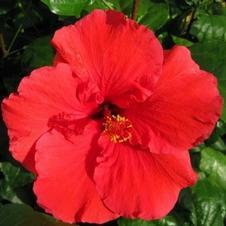 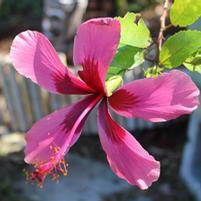 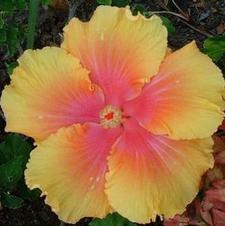 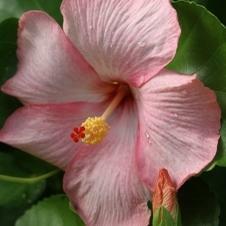 Here at Fleming's we are Hibiscguys and we also love Tropical or Hawaiian Hibiscus, especially the "hybrid" types below. 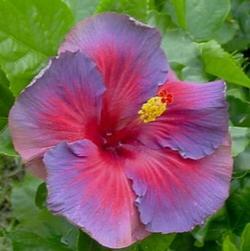 They have 5 to 8" flowers with multiple colors and stay green-leaved all year long if you live in the South. 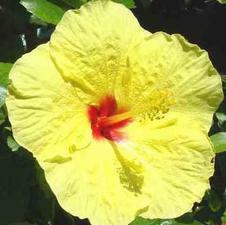 They are not, however, for growing in colder regions unless you have a greenhouse or artificial lighting for the winter when you bring them inside. 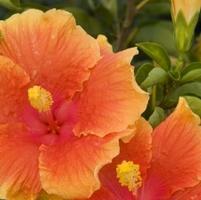 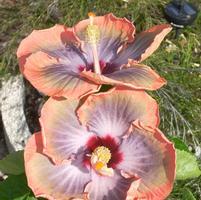 We try to carry the most classic Hybrid Tropical varieties with the most stunning color combinations.